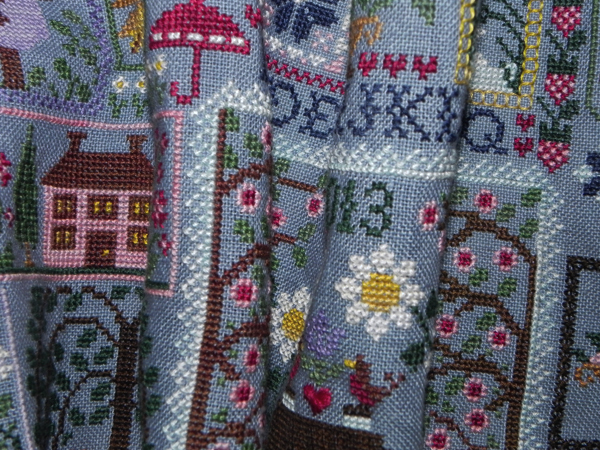 Norden Crafts: Blue Ribbon Designs Mystery Sampler Sneak Peek! We are getting closer to the release of the Blue Ribbon Designs "BLUE JEANS AND DAISIES" Mystery Sampler, and we received a Sneak Peek from Belinda this morning, so I wanted to be sure I got it to you right away. 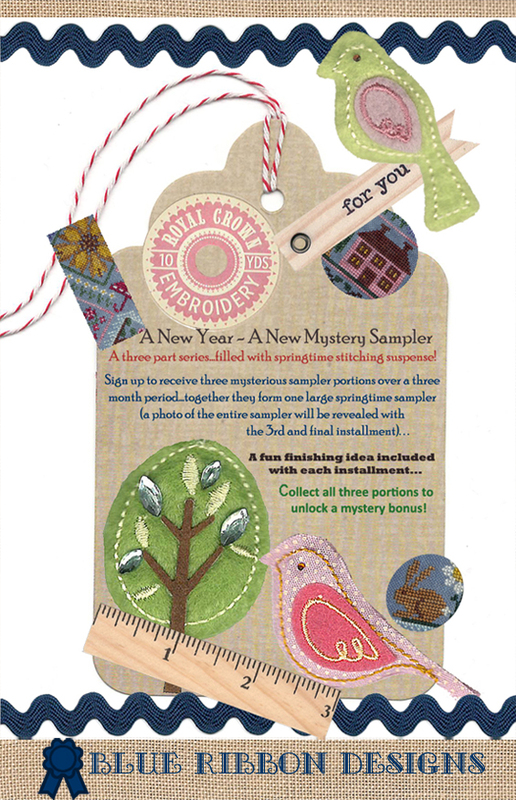 Are you new to our Mystery Samplers? You can read more about this popular new club below from my post on November 27th. Shop Owners - The deadline to sign up is January 2nd, so please don't delay! Call or email me now to sign up.